While the Olympic Delivery Authority (ODA) is meeting and indeed surpassing many of their green objectives, the city itself is falling short of expectation. Building work on the Olympic Village might be complete and the Olympic Park on-track, but London pollution risks spoiling it all – not least for the athletes involved. As the Olympic Games approaches, the UK faces the embarrassing prospect of being taken to court by the EU for failing to meet air quality standards. Some environmental experts see a court case as inevitable and should this occur, the UK risks a £300m fine for breaching EU regulation. During the 2012 bid, London described its air quality as “good and improving”. However, earlier this year, the BBC reported pollution levels on many London roads as averaging twice that of the recommended levels set by the World Health Organisation. According to reports, London has the highest levels of the toxic gas nitrogen dioxide in the EU. With less than six months until the games, fears are growing that these high pollution levels could impair the health and performance of Olympic athletes. With the threat of impaired performance looming over athletes, all eyes are on London. Steps are being taken to improve on the situation, but with the City of London’s four-year Air Quality Strategy only being put into effect from 2011, could it be a case of too little too late? Last month it was revealed that the multi- million pound contract to print tickets for the 2012 Olympic games had been awarded to, none other than, a firm based in the USA. Weldon, Williams & Lick, located in Arkansas, USA, will print 11 million Olympics tickets, which will then be shipped 4,500 miles back to Britain to a UK warehouse. The announcement came as a huge disappointment to UK businesses. This was heightened further by the recent revelation that just nine per cent of Olympics merchandise has been produced in the UK – an enterprise which could have benefitted the UK economy by a £1bn renevue. 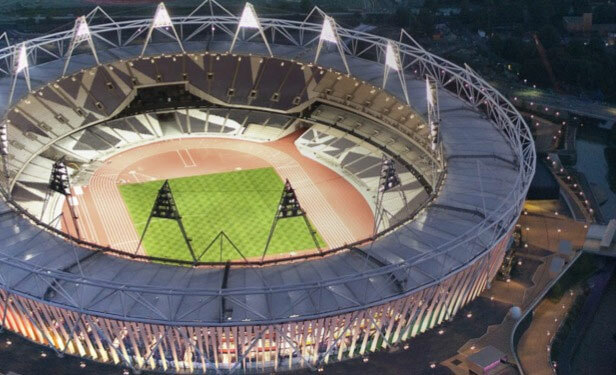 The London Organising Committee of the Olympic and Paralympic Games (LOCOG) justified the backlash from critics, claiming the contract was awarded through a “competitive and open” tender. This tender was apparently run through Compete For; a free service that enables businesses to compete for contract opportunities linked to the London 2012 games and other major public and private sector buying organisations. Experience aside, The Green Party has calculated that transporting the 16-tonne consignment across the Atlantic to the UK will create around 77 tonnes of carbon dioxide. This averages the equivalent annual emissions of 15 Londoners. Far from ideal given London’s current pollution levels. Lawrence Webb, the UK Independent Party’s London Mayor candidate, described the move to outsource as “a disgrace”, calling it “a kick in the guts to British firms”. So, how will all of this impact Olympics goers? Well, if the ticket sale system hasn’t already caused enough controversy, those lucky enough to be attending an event can expect to incur an additional £6 charge just to have them delivered. In 2010, the International Olympic Committee (IOC) agreed a deal with the Dow Chemical Company to become a global Olympic sponsor. This angered campaigners like Amnesty International, amid claims that Dow faces outstanding lawsuits relating to the 1984 Bhopal gas tragedy. The Bhopal disaster was a gas leak incident that occurred at the Union Carbide India Limited (UCIL) pesticide plant in Bhopal, Madhya Pradesh, India. UCIL was the Indian subsidiary of the Union Carbide Corporation (UCC), which Dow went on to purchase in 2001. Considered as one of the world’s worst industrial catastrophes, Madhya Pradesh confirmed 3,787 immediate deaths, but the devastating effects of the leak are ongoing. A 2006 government statement revealed the leak caused a further 558,125 injuries, dramatically increasing the estimated death toll. According to campaigners, more than 120,000 people still suffer from injuries caused by the accident. However, should Dow be held liable? The state government of Madhya Pradesh now owns and controls the site, so perhaps it is their responsibility to push for remediation? Whatever the answer, one thing remains clear – this is yet another in a long list of controversies surrounding the 2012 Olympic games. Emily Conradi is a freelance writer with over four years’ experience in lifestyle and consumer publishing, covering food and drink, hobbies and pastimes, celebrity, real life and social issues. Experienced in PR and marketing, she regularly reviews new bar and restaurant openings and is most likely to be found in front of her laptop with a good cheese board and a glass of red wine.